I’m not super excited that the clocks spring ahead this weekend. This also means that Spring is right around the corner. (The real way days get longer.) It felt like it was already here this week with temperatures in the mid-70s. 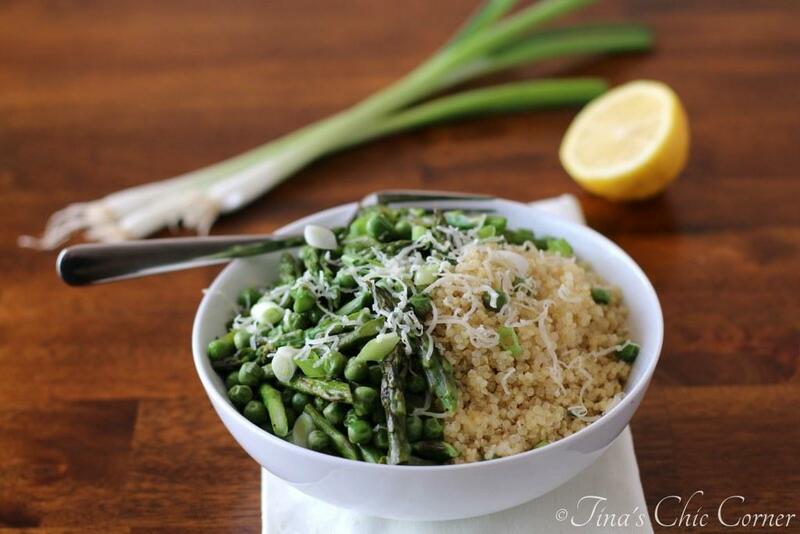 When Spring is in the air I find that I’m in the mood for light and Spring-y foods, like this couscous dish. (Couscous, couscous, couscous. Sorry, I just love saying that word because it’s not just tasty it’s also super fun to say.) 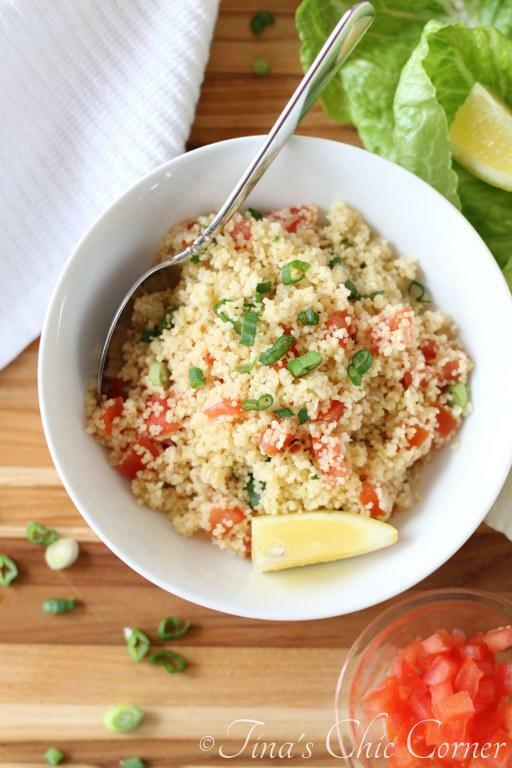 Little semolina with fresh tomatoes and scallions in a light lemon dressing… yup, this is definitely Spring on a plate. The original recipe calls for this to be a side dish for two servings, which is perfect for me and my hubby. I also recommend making the couscous mix into a lettuce wrap to enjoy for lunch. The recipe is easy to double, triple or whatever so you could serve this up as part of brunch or a BBQ for loads of people. 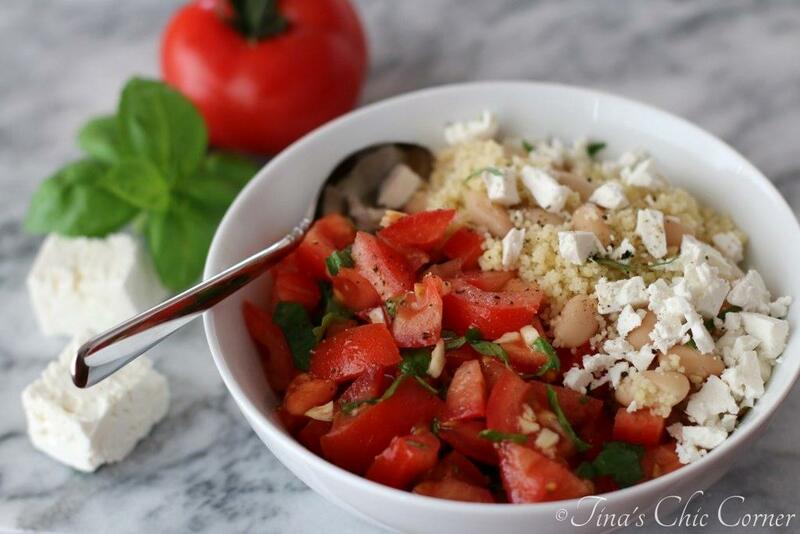 Transfer the couscous to a medium bowl. Heat 1 and 1/2 teaspoons of oil in the (now empty) saucepan over Medium heat. Stir in the water and broth and bring it to a bowl. Take off the plastic wrap and fluff the couscous with a fork. Stir in the remaining 1 and 1/2 teaspoons of oil, lemon juice, chopped tomato, and sliced scallion. 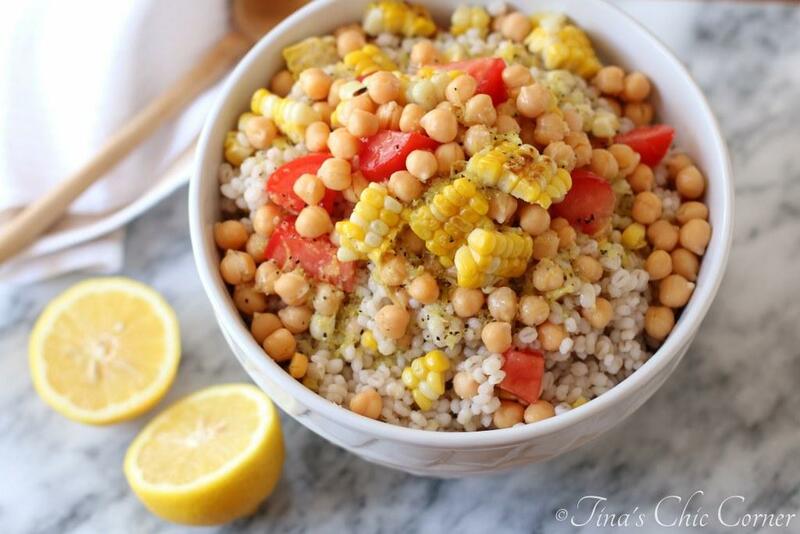 Here are some other cool couscous dishes.